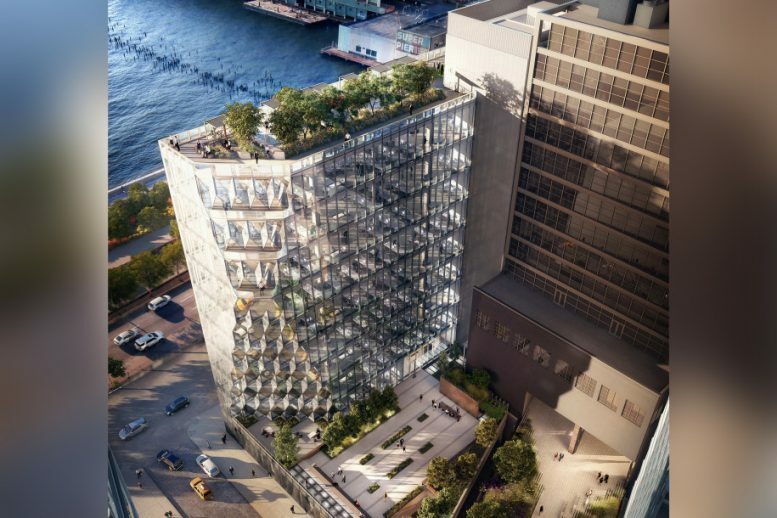 Per the applications filed with the Department of Buildings, the structure will rise 12 floors and 190 feet to its rooftop, indicating very generous ceiling heights. 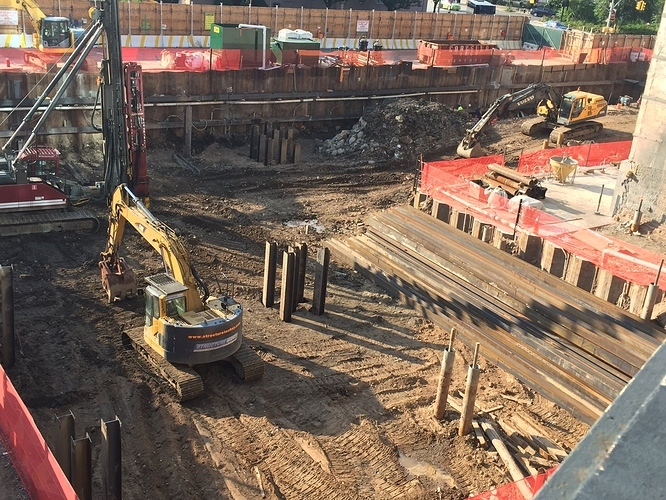 Within, the project will contain 116,205 square feet of commercial space. William Gottlieb Real Estate and Aurora Capital Partners are the developers, and completion is likely by 2019. 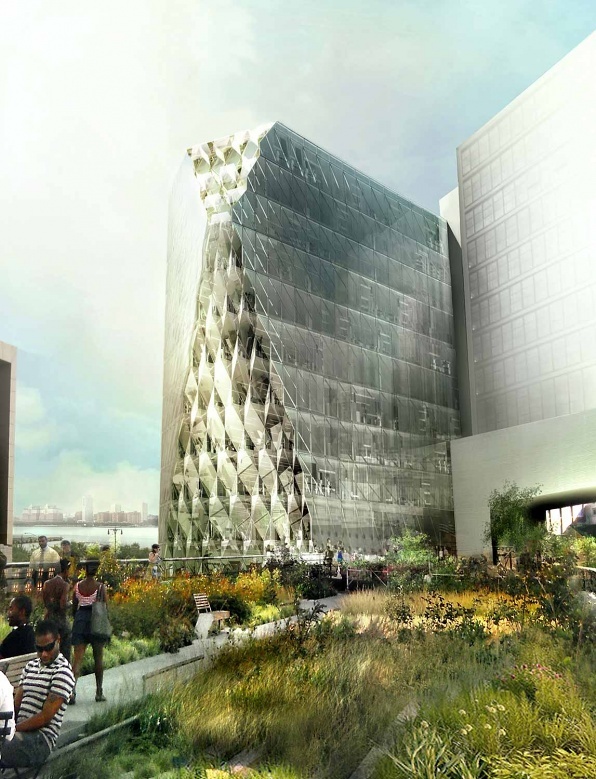 2 Comments on "Excavation Making Headway for “Solar Carve” Building at 40 Tenth Avenue, Meatpacking District"
Trespassing the ground for the reasons of progress, I have nothing to resist. Who wants to give odds on them value-engineering the hell out of this?